Originally published in Mother Jones Magazine and The Marshall Project. Ronald, minutes after his release from St. Clair Correctional Facility in Alabama. “When I wake up,” he said, “it will be strange to me, because I'm so used to waking up in that little small cell with just a toilet and bed for so long. I'm going to think I'm dreaming or something." Ronald sits at his gate at the Atlanta International Airport waiting for his flight to Philadelphia with his social worker. Seconds after ringing the doorbell at the home of his mother, Willie Mae. Ronald had not seen his mother for 11 years in person and hadn’t been inside this house since he was a teenager in Philadelphia back in the mid-’70s. Willie Mae and Ronald reunite in Philadelphia after his release. Willie Mae said that when she found out he was coming home, only a week prior to this moment, she thanked the Lord for answering her prayers. Her greatest fear was she’d pass away and not get to spend time with her son. Ronald and his mother Willie Mae visit his grandmother Sallie ("Big Grandmama")'s grave who helped raise him in Alabama. Big Grandmama passed away in 1997 at the age of 78, which is a year younger than Willie Mae is now. Elston regrets not being able to attend her funeral. Ronald and his mother Willie Mae spend the day after Columbus Day fulfilling Ronald's parole obligations. He registers with the police department to get an ID; he goes to Philadelphia Traffic Court to prove he doesn't owe them any money even though he's never lived in Philadelphia as an adult; he then registers at the Philadelphia Criminal Justice Center. Willie Mae who doesn't travel farther than her immediate neighborhood, and Ronald who hasn't travelled at all in over 30 years, were both stressed that if they couldn't figure out how to do one of these things, he'd be sent back. Ronald, also known as “Donnie” to his family, cuts into his 59th birthday cake with his great-nephew on his left, on January 10, 2016. This birthday marked his first birthday out of prison; the last birthday he remembers as a free man, he was the age of the picture on his cake. Ronald and his nieces look at a family album at Millie Mae's house. Ronald on the phone with his daughter, who lives in Anniston, Alabama. Ronald was sentenced to life in prison without the possibility of parole when she was three years old; she’s now in her late 30s. Ronald has never met one of his grandchildren. Ronald and his niece, at one of many family get-togethers since Ronald's release from prison. Ronald's sister and two nieces live in New Jersey, an hour and a half from Willie Mae's house in Philadelphia. 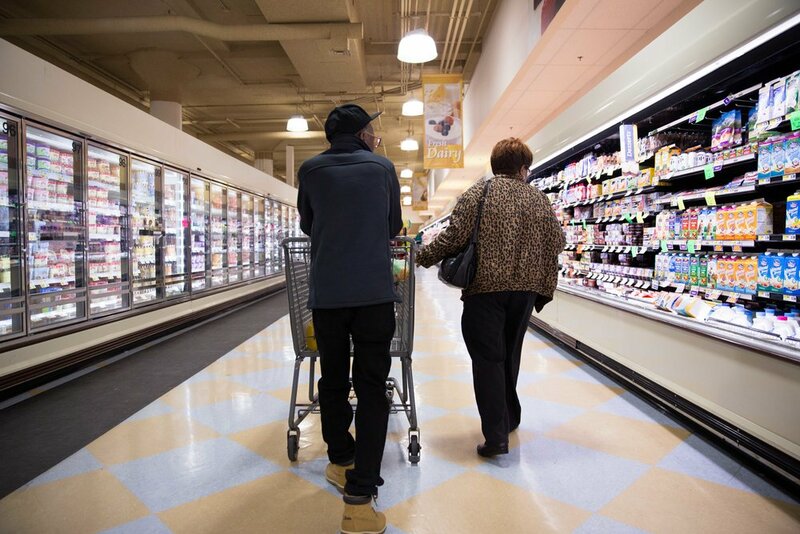 Willie Mae takes Ronald shopping in Philadelphia, a day after his release from St. Clair Correctional Facility in Alabama. 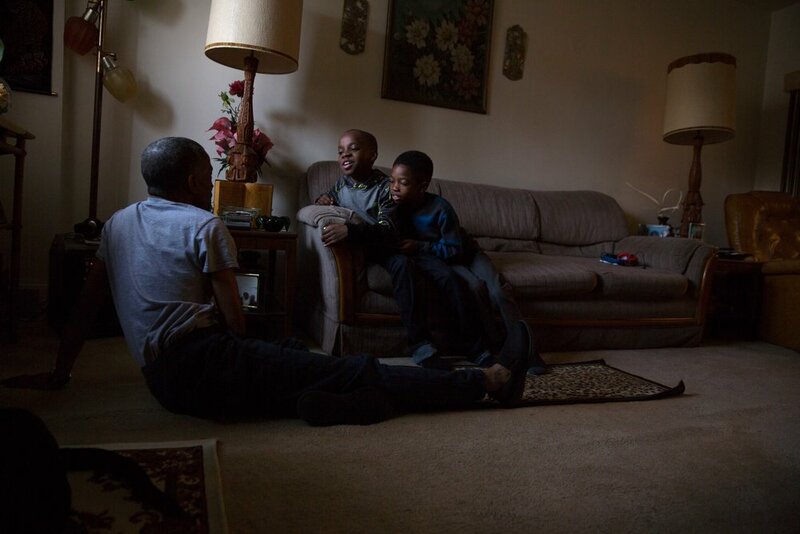 Ronald with his great nephews in the living room of Willie Mae's house in Philadelphia. This was the first time the three of them had met.